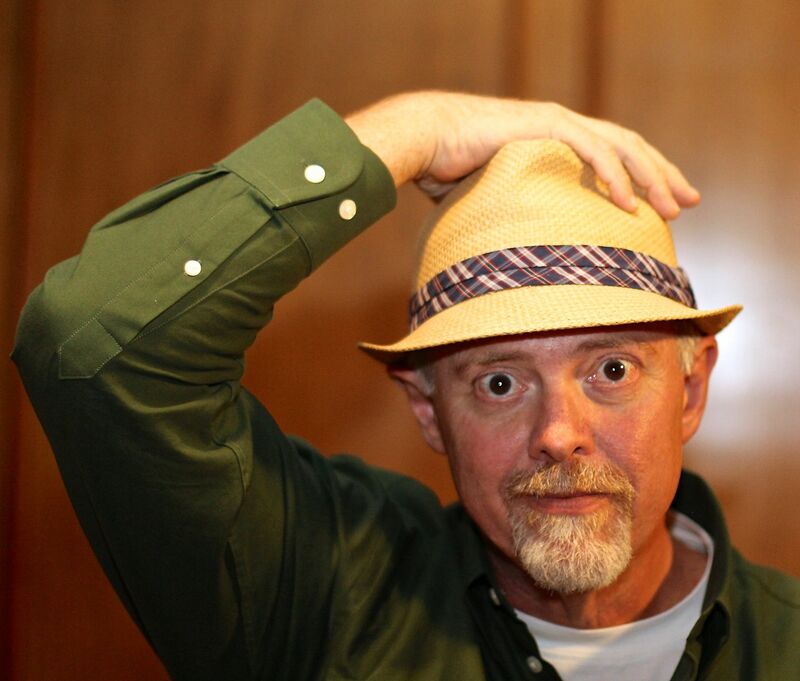 It’s just not right that David is standing in front of a furniture storefront with modern architecture…. 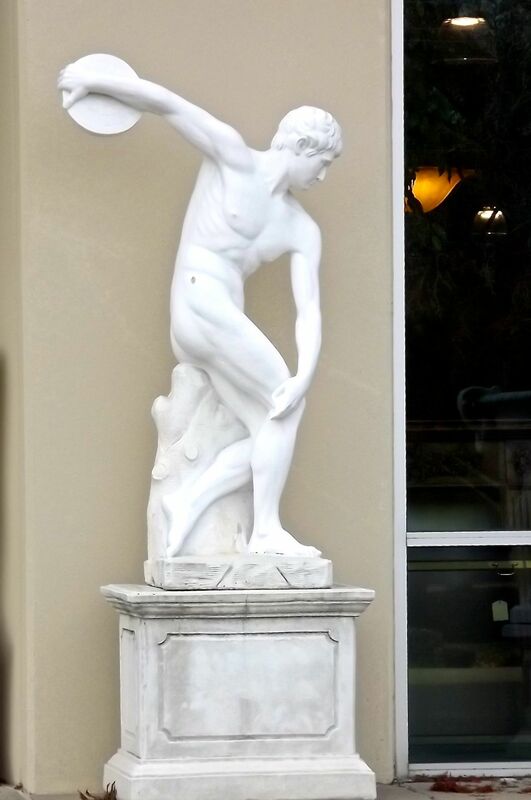 Wait a minute…so is the discus thrower Greek athlete guy (Discobolus). What’s up with all this? 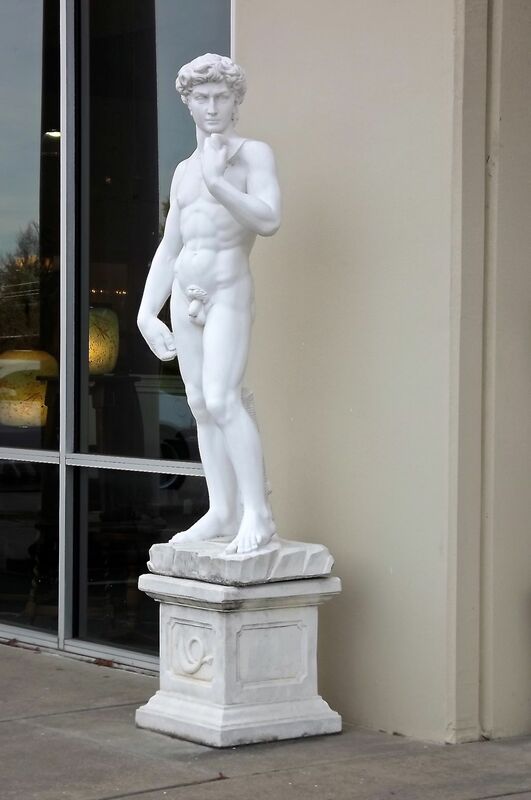 Oh, and BTW, if the head was looking back at the discus this stature would be a replicate of original…. 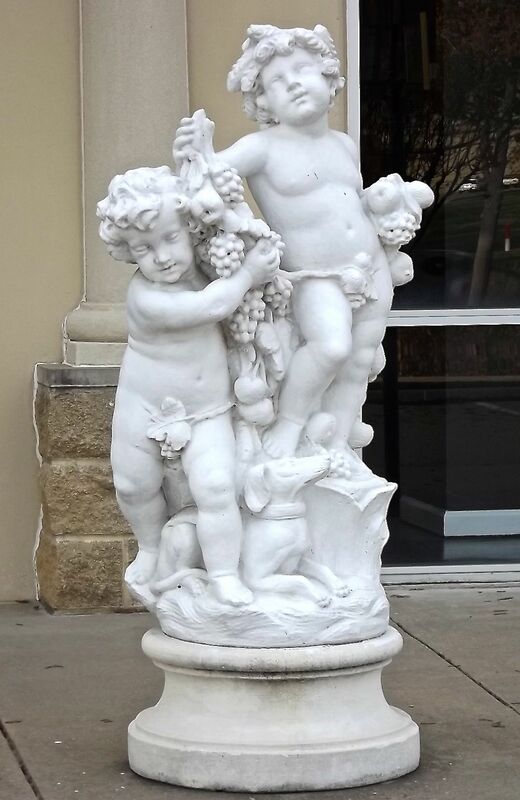 OK…I have absolutely no recall from my college art history courses of just who these cherub guys are, but they stand between David and Discobolus eating their grapes and petting the puppy dog…. I was going to say that Michelangelo must be turning in his grave, but on second thought, he’d probably get a kick out of these statues. Oh mercy – those statues are so, so, kitschy! 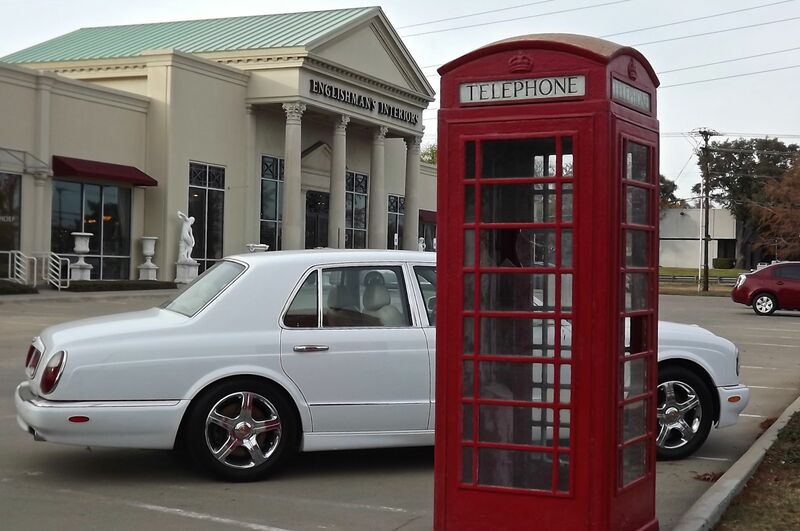 The Bently on the other hand, well, it’s just beautiful!